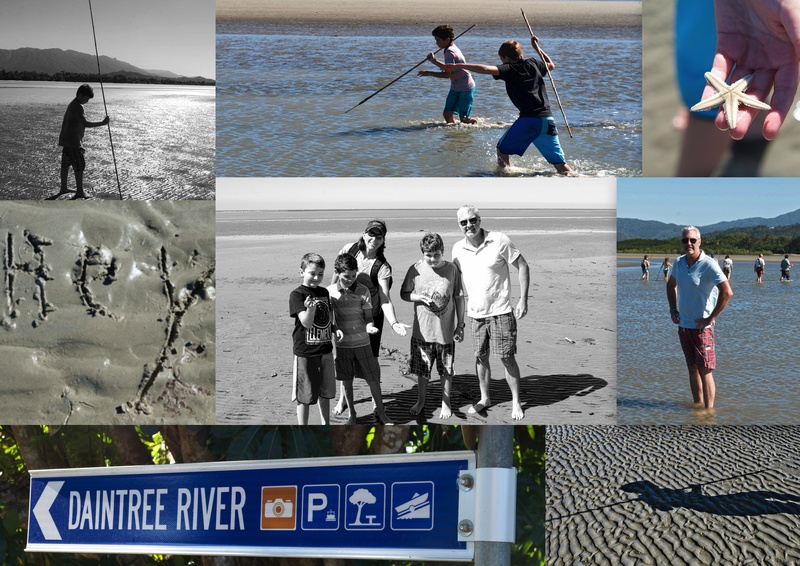 Lowest tide of the year means old fashion crab spearing in Daintree | When Can We Go? Spears were sailing, boomerangs were flying, and feet were sinking. We spent the day with an aboriginal man who told us about customs and the return to traditional ways that aboriginals were attempting to make. I again am reminded of diversity and importance of that diversity for all of us- I mean it’s important to know that placentas have a place under trees (our guide told us of how his great grandfather died under the palm his placenta was planted under and then the tree died shortly thereafter). Juan, our guide, was wise, funny and a great story-teller. He was so patient with the kids and was so helpful with all of us (especially after we all got stuck, literally, in the mud). i want pics of you stuck in the mud :-)!